Voting is now open! And kindness rules. Thanks for popping in! Forgive me for not doing a step by step today; I really am up against it today. Things are reaching fever pitch here at Clarity Towers! So good news and bad news. What do you want first? The good news? Ok. The GOOD NEWS is that Dad is back on track, he is on the mend and things are healing nicely. The bad news? Well. Steve has done his back. And Dave has done his back. 2 bad backs and a truck to pack. Yippee. It couldn’t happen at a better time, could it? Ally Pally set up tomorrow, and the two main players out of action. We’re recruited a couple of the young lads to help, but they can’t drive the Luton. Scheissenhausen. Never mind. This too shall pass. 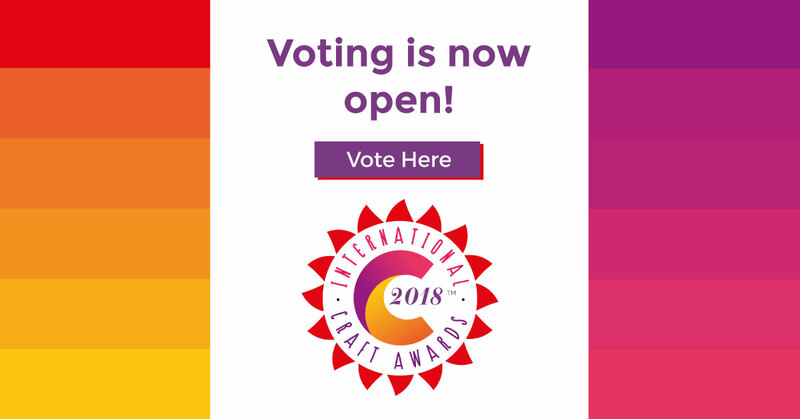 On an optimistic note, and to brighten the mood, the voting polls have opened today for the International Craft Awards. Did I tell you that we got nominated for 18 awards spanning 14 categories? That is pretty exciting. 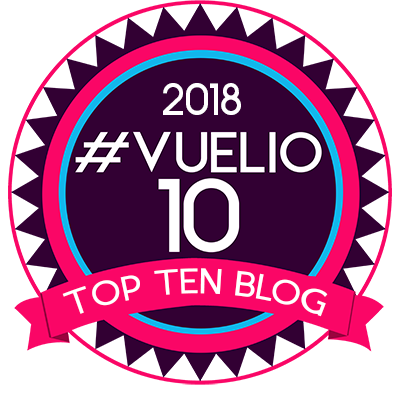 So if you think we deserve a pat on the back, then please click below and tick a few boxes for us! One more thing . Kindness and generosity. When we were up in Leyburn, these two things were offered up in spadefuls. You can’t believe the number of people who came through the door with presents. So many beautiful gifts! Your clock looks superb on the wall, Alison !!! And this beautiful glass angel was a gift from Gillian. It is a symbol of protection. Ally Pally – 2 stands in 1! As one of “Fiona’s friends” I just want to say thank you for taking the time to chat to us. I wondered if we could have a copy of the photo that was taken with you. I hope I did not break another camera. Good luck for the weekend and I am sending positive energy for Steve and Dave to recover quickly. Hi to you all. I hope things improve for you all. Life never runs smooth, as they say. 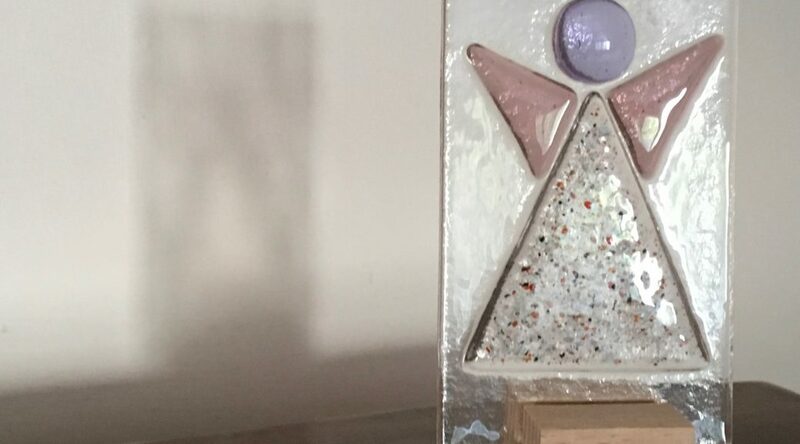 The beautiful protection glass angel is adorable and we all need one. Does Gillian have a way to be contacted please. ? Good luck for your weekend. I wish I could offer to help! I do hope that it all gets done and everything goes smoothly. Hopefully Steve and Dave will soon be well and that your dad’s recovery continues. It is wonderful how kind people can be and I am now concentrating on those people and ignoring all the negativity, or trying to! So glad to hear your father is on the mend but, oh dear, poor Dave and Steve, I hope they improve soon. If I lived closer I would offer to help. As always it was lovely to bring you some Scottish hospitality. It was brilliant to talk with you and share hits and woes of life. I had such an amazing weekend, it was my focus on my recovery from my call in the spring, and thankfully I made it and was able to catch up with the bloggy girls too. Barbara, you have created an amazing supportive community with Clarity and when times seem dark, please remember all the joy that you and your team bring to us. I am glad that your Dad is on the mend. My 80 year old parents are challenging me just now with not wanting carers to come in to help! I know things will work out with them soon. Evening Barbara! I’ve already voted and you got my vote 100%! So glad to hear your dear dad is on the mend but sad about Dave and Steve’s backs! These things are sent to try us I am sure! But really you don’t need it! I hope all goes well at Ally Pally… would love to be there with you but no chance this year! Maybe one time I will make it! It’s scary that this time last week I was getting ready to head off to Leyburn, but it feels such a while ago already! It was a fantastic day. Have a relaxing evening if you can…even an hour! I have placed my votes. Fabby that our Linda has been nominated!! Congratulations and Go Team Clarity!! Glad your Dad is recovering and so sorry to hear about the other pair – not a good way to get out of Ally Pally. I will miss not seeing Dave. He/Steve have my sympathy as my back is on the blink. Oh Barb, I feel for you. I wish we lived closer as we would happily have helped out. (Jim wouldn’t have had an option!). I was so pleased to hear your Dad is on the mend and I do hope Dave and Steve get better soon. Backs can be a real problem. Hope Ally Pally goes well – silly statement as I know it will. Wish I could be there. Just got the picot dies and Gemini. Absolutely brilliant and the dies really help my arthritic hands. I can now concentrate on picot cutting the designs. Pleased to hear your dad is on the mend, must be a great relief for both you and your mum. Poor Dave and Steve. I have the greatest sympathy for anyone with back trouble. Good job you have some strong lads to assist you with the loading and unloading. Sounds like a lot of love came your way as well as gifts and good wishes. Off now to vote CLARITY ALL THE WAY!!!! Get well soon boys! Sorry to miss Ally Pally this year, we’re off to Ottery St Mary. Oh I’m so pleased your dad is on the mend, what a relief for you all. Give him a big hug from us all. Poor Dave and Steve though, it’s not good having a bad back. Thank heavens you gave lads on had to help with loading, now is it you and Paul doing the driving? Now we will be there on Sunday, if you need a hand just say, always happy to help. Right I’m just off to vote, Clarity all the way. Hi Barb, so glad to hear your Dad is on the mend, one less worry for you. Not so good re Steve and Dave’s back problems. Hope you manage to get the help you need for setting up and running your stand at the show. And I hope Dave and Steve are quickly on the mend. They must be feeling bad too, like they are letting you down. I love Gillian’s protection angel. And what a meaningful gift. Hope she shields you from all the rubbish that gets thrown your way in life. Good news about your dad, I’ve been wondering how he was. Hope Steve and Dave feel better soon. You all work so hard, I hope you’ll have some time for relaxation after the Ally Pally shows. You’ve certainly got my vote in the Craft Awards. Your whole team is amazing and it was a joy to meet some of them at Leyburn. Great news about your dad but the boys have my sympathy – a bad back is miserable. Hope you have plenty of frozen peas ( for therapy not for tea!). Don’t you overdo things too, it’s not worth it. I wish I could help but flying off for some sunshine in the morning. Great news that your Dad is responding to treatment & beginning to feel better but oh dear I sympathise with Steve & Dave with their bad backs. Its often something quite simple that causes it to go but if only it was as easy to get better. Hope you find a chauffeur for the van to get everything to Ally Pally. Isn’t always the way when you sort one problem more come on behind. Onwards & Upwards as they say !! Poor Dave and Steve hope the back pain passes soon . I’m looking for the post man as my order is on its way got another waiting to been dispatched so looking forward to my clarity goodies . Hope ally pally goes well . Delighted to hear that your Dad is on the mend, and sending thoughts and prayers to you all for continued strength, resilience and healing. Ally Pally will be fab, and those of us who can’t be there in person will be there in spirit cheering you on. 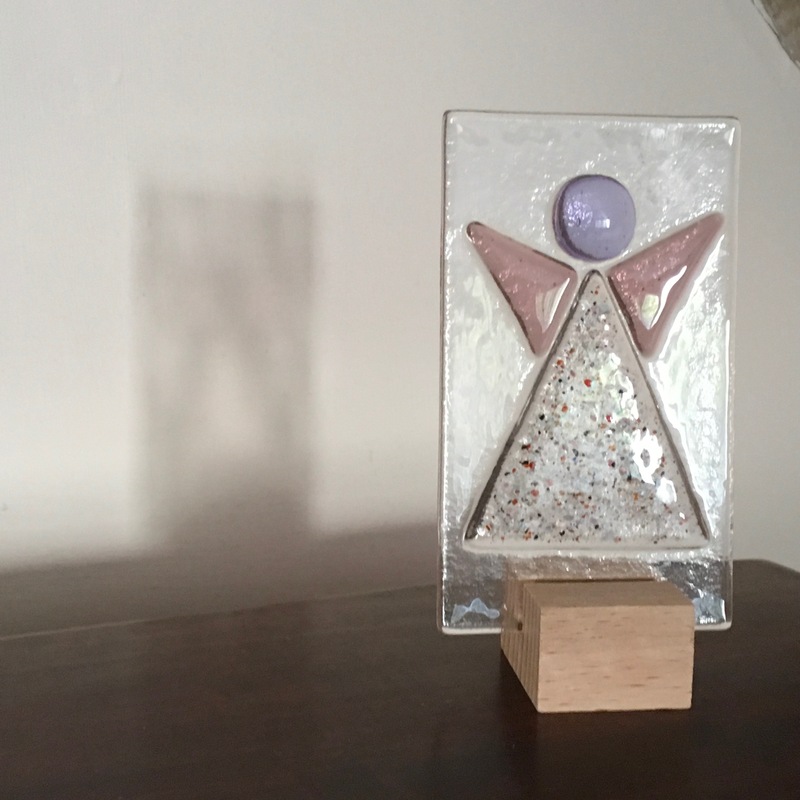 All we bloggy angel-wannabes are watching over you too – beautiful gift Gillian. So pleased your Dad is on the mend Barbara but what a blow Dave and Steve succumbing to back problems. I hope they are not too uncomfortable and will be on the mend very soon. I can’t make Ally Pally but I hope all goes well. I am sure it will be a great success. Everything happens for a reason….you have had a manic few weeks Barbara – please please slow down a wee bit …we love you and the Clarity family. Good news about Dad and poor Steve and Dave so painful. could Gillian please tell me where she bought the Glass Angel for protection? It is just what I have been looking for for a young friend who is fighting Cancer. What wonderful news that your dad is well on the mend. But such sad news that the other two men in your life have hurt their backs. If I were near you I would pop round with some pain relief patches to help them. That Angel is amazing. What a talent Gillian has!! Good luck at the Ally Pally, if ever you need a hand I am only an hour away.